Comment: I would like to get an estimate for gutters to be installed on a commercial building with a metal roof. Comment: 16X80 SINGLE WIDE TRAILER, NEED THE CHEAP GUTTERS REPLACED WITH NEW GUTTERS AND DOWNSPOUTS. Comment: I have a problem with my gutter on the front porch. When it rains it leaks several days after the rain has stop. Affordable Aluminum & Vinyl Products, Inc.
Bristol Gutter Cleaning & Repair Services are rated 4.61 out of 5 based on 156 reviews of 7 pros. 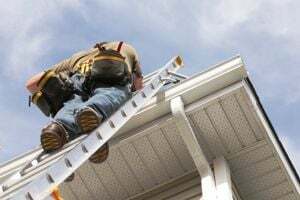 Not Looking for Gutters Contractors in Bristol, TN?